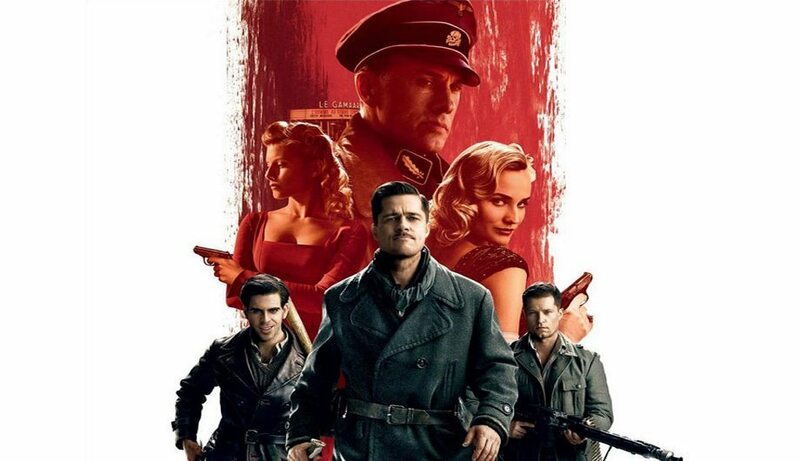 This Tuesday, the other Inglorious Bastards (known to audiences as Inglourious Basterds) hits the small screen on DVD and Blu-Ray. We at Severin couldn’t be happier for the runaway worldwide success of Quentin Tarantino’s modern-day WWII Spaghetti epic. It’s an indelible, unforgettable masterwork that gleefully updates the Macaroni Combat tradition and drags it kicking and (literally) screaming into the 21st century. An Inglourious Basterds DVD simply wouldn’t be complete without some mention of the Enzo G. Castellari original, and it does not disappoint. The Basterds DVD you’ll pick up December 15th more than delivers with an enlivening, affectionate bonus feature that trumpets in equal parts both Inglorious Bastards and its legendary director. Basterds writer/director Quentin Tarantino was supremely cooperative when we put together our Bastards disc; hosting a screening at the Silent Movie Theater, and (of course) sitting for a far-ranging 3-hour interview with Castellari himself. The fruits of this interview can be seen in Severin’s Inglorious Bastards release and our follow-up, Eagles Over London (another Tarantino fave). It’s a fascinating document of the kindred celluloid spirit shared by these twin titans of international cinema. At the time of the interview (May 2008), Tarantino was literally hours away from finishing his script. The back and forth concluded with Castellari exacting a promise from Tarantino: to feature him in a cameo in the new Basterds. Tarantino naturally said “of course,” but we had no idea just how ingenious Tarantino would prove in devising Castellari’s onscreen appearance. When the Sevs finally saw the finished Basterds at an advance screening, sure enough, there was Castellari, featured as a German general (just as in the original, commanding the Reich), fighting for his Inglorious Nazi life in Tarantino’s blood-spattered, face-shredding, fiery climax. But what made it inordinately clever was the fact that Castellari had the same single line of dialogue as in the original, but in a very different context. “Fire!” in Bastards meant Castellari was about to blow some Allies to smithereens; in Basterds it meant he was about to be simultaneously immolated and machine-gunned to death as Mélanie Laurent jeered from a nearby movie screen. Now, with Basterds coming to stores, Tarantino generously turns the spotlight on Castellari yet again with an affectionate DVD bonus feature chronicling Castellari’s participation in his film. In the piece, Basterds star Eli Roth sits for an interview in which he details Castellari’s impact on both his and Tarantino’s directorial style (Roth specifically talking about his own film-within-a-film, Nation’s Pride.) Roth also narrates footage of Castellari’s day on set of Basterds, giving the story behind the deal Tarantino and Castellari made the previous year before the Severin cameras. The bonus feature then brings in Nation’s Pride star Bo Svenson for a brief discussion of the different worlds of Bastards and Basterds, before closing by showing the original trailer for Inglorious Bastards in its entirety! In short, the bonus feature is a one-reel love letter for both Enzo Castellari and his Bastards. By the way, the piece also incorporates ultra-rare behind-the-scenes footage of Castellari at work on the set of the original Inglorious Bastards…so ultra-rare, in fact, that he neglected to share it with Severin when we were doing our own featurettes! Not that we’re bitter. In the land of Inglorious – and Inglourious – Bastards, there’s always enough socko moviemaking to go around.